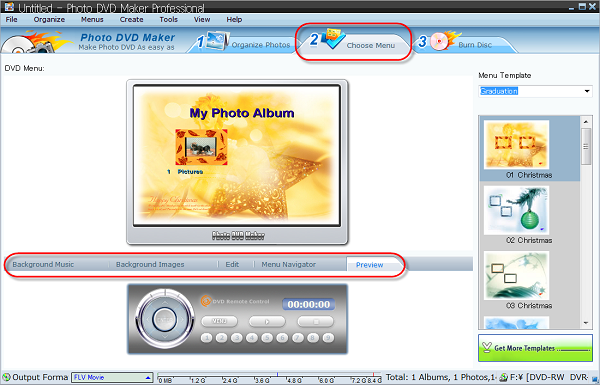 Photo DVD Maker is a perfect tool for creating great looking DVDs with your photos and home videos. 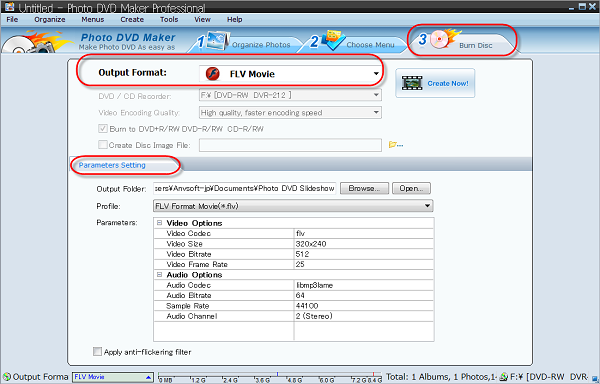 Create photo video CD or DVD that play back on your TV with DVD player. 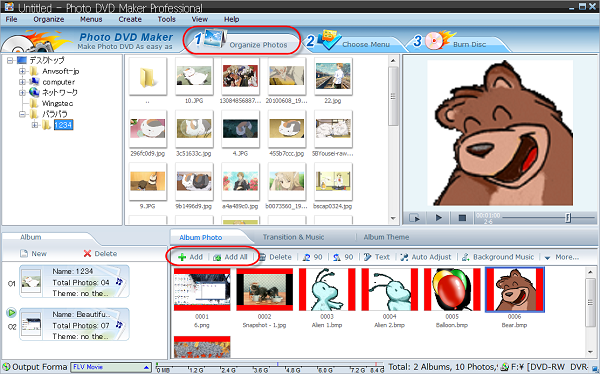 Generate MPEG video files for PC viewing. Generate MPEG-4 format files for mobile devices such as Apple iPod, Sony PSP, cellular phone and PDA. Build photo slideshow video ready for upload to your YouTube, MySpace. Create SWF Flash slideshow, perfect for e-mailing or posting online to your website. Make Photo Slideshows as Easy as 1-2-3 ! Under the Organize Photos tab, click on a folder that contains the wanted images and videos, then select photos/video files. Also drag and drop to arrange them in your desired order. Double click on a image to open the editing box. Here you can custom transition, pan & zoom effect, text, artclips, subtitle and prozess for your photo slideshow. Go the Choose Menu tab to choose DVD menu for displaying DVD slideshow, and more templates can be downloaded from our website. Click Background Music to import audio files for creating DVD video slideshow. The Burn tab guides you in publishing the slide show to DVD, CD or video formats. 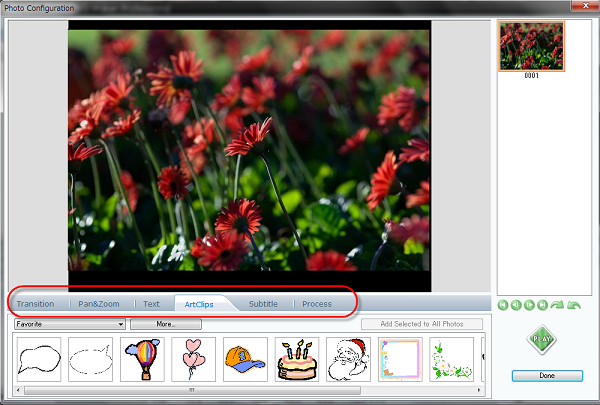 It also provides options for creating web albums of the slideshow you made!